Being an athlete, I'm confident that most professional athletes still get nervous before competitive events. But it also should be noted that photographers also the same butterflies in their stomachs. Nothing short of a million and one things can happen at any given moment during a sporting match and we're there to document each and every single one that occurs. This past weekend, I had the opportunity to cover boxing for Getty Images. Having not covered boxing in years, I wasn't sure what to expect and was certainly feeling anxious. Nonetheless, after a couple bouts prior to the championship title matches, I had my rhythm, timing back and was feeling confident as the butterflies dissipated. While the iconic hand to face image is desired in boxing, and hope to capture that in the main event, I loved the feel of this frame. 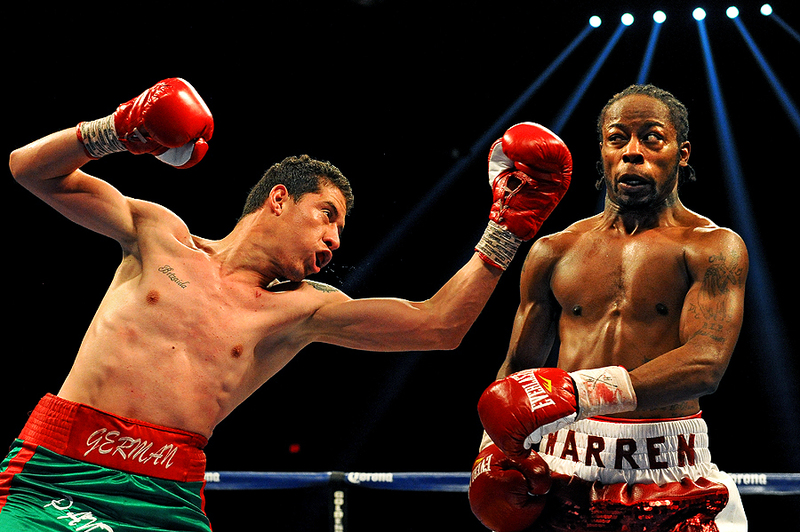 The body language of both fighters, along with the eyes of Rau'shee Warren had me coming back to it the next morning. "Quarterback Tom Brady #12 of the New England Patriots looks on during warmups before playing the Baltimore Ravens at M&T Bank Stadium on December 22, 2013 in Baltimore, Maryland." It's been a great start here in Baltimore - and the year is shaping up to be a real exciting one. I hope all is well with everyone. While I wasn't shooting any NFL playoffs this weekend, this image floated to the top of the to be blogged, as a battle between two great quarterbacks helped decide the Super Bowl match-up in two weeks. 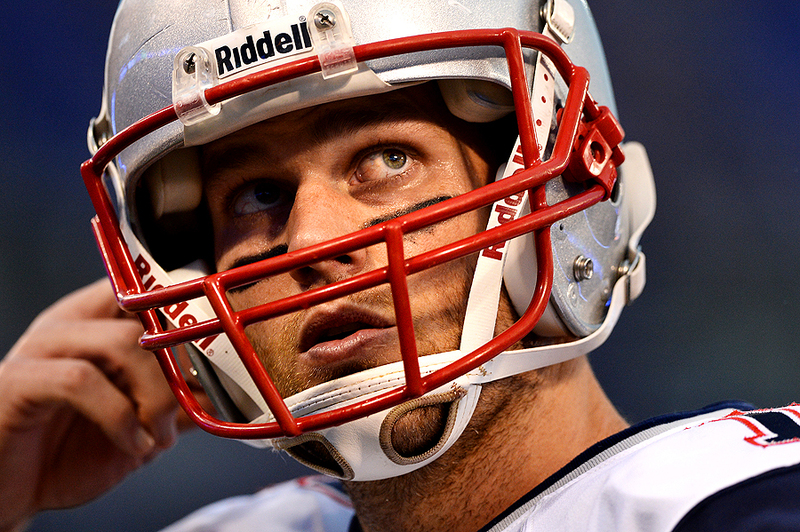 For Tom Brady, he won't be contending for yet another title. As usual, this year I'll continue to blog my favorite images of the year as they unfold in front of me and I hope you'll stay tuned.